It probably comes as no surprise that the world’s most effective and dangerous form of combat from one of the most conflicted regions of the world. Krav Maga is a non-sport form of martial arts, meaning it doesn’t concern itself with the opponents' well-being. 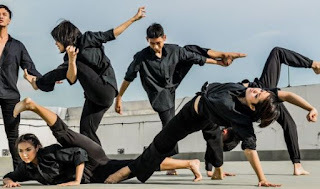 This popular martial arts style was first developed for the Israeli Defense Force and was created with the sole intention of inflicting as much pain as quickly and efficiently as possible which often includes deliberately ending the life of your opponent. According to the New York Times, Krav Maga’s unofficial slogan is “Hurt them real bad and then get away”. Line is the abbreviated name of “Linear Infighting Neural Override Engagement”, this lethal warfare technique accommodating the combination of various martial arts techniques including Judo’s classical “hip-throws” was used by the US Marine Corps throughout the 1990’s and is still employed by numerous special forces. This form of brutal martial arts gained its fame during the American Revolution in the 17th Century. It is said to be one of the few fighting styles native to the United States. This colonial bloodbath emphasizes on maximum disfigurement with the involvement of eye-gauging to tongue-biting. Nowadays, the term “Rough and Tumble” is more associated as a term for rough disorderly unrestrained fighting or struggling. Ninjutsu is one of the most renowned martial arts in popular culture as just about anyone is familiar with the term ‘Ninja’. Back in feudal Japan, this martial art style focused on unconventional warfare, espionage, and assassination. Ninjas, those who practice Ninjutsu, were even often referred to as hinin (non-humans). Considered less popular than other Brazilian martial arts styles such as Capoeira and Brazilian Jiu Jitsu, this full contact combat sport is as lethal seeing that its name literally means “anything goes”. It consists of a very limited number of rules and combines techniques from numerous martial arts. Fights are mostly held underground because it is quite brutal and dangerous that it often creates a stir in the media. Though it is not as renowned as many of its martial arts counterparts, Bacorn (or Vacorn) is just as effective and deadly. This martial arts style native to Peru was born on the streets of Lima. It is a fusion of numerous martial arts moves where fights often result in death due to its emphasized use of hidden weapons and deceptions. Eskrima (Arnis or Kali) is the national sport of the Philippines which emphasizes on hand to hand combat as well as weapon-based fighting which employs the use of sticks, knives, bladed weapons, and various improvised weapons. Brazilian Jiu-Jitsu, also known as BJJ, has gained its current popularity fame through the Ultimate Fighting Championship’s (UFC) first, second, and fourth winner, the legendary Royce Gracie. Thailand’s most celebrated “Art of Eight Limbs” is renowned for its substantial use of elbow and knee strikes. It is no surprise that such ferocious form of self-defense would emerge from a country who has faced much violence and conquest tracing back the history to Siamese Revolution in 1932. Often referred to as the Grandfather of hand-to-hand fighting, Kung Fu has been practiced for centuries in its land of origin, China. Used by Chinese warriors as a form of attack as well as self-defense. Kung Fu is the general term used for Chinese martial arts. Although there are a variety of styles of Kung Fu training, they all share the same root: to strike your enemy with lightning speed and preventable power. Monks are renowned practitioners of Kung Fu, shaping their bodies and minds into lethal tools of war – with or without weapons. 1. 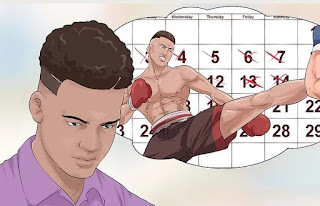 Think about why you want to learn a martial art. People begin learning a martial art for many reasons. Perhaps you feel out of shape, or maybe you no longer want to be picked on. ost self-respect. When you start training, you will begin to understand yourself better. This will help you understand and respect others as well. Martial arts will help you define and overcome your weaknesses. They are challenging and empowering at the same time. 2. Research different martial arts. Before you start kicking trees and punching walls, do some research on martial arts. Don't just pick what's popular at the time. Find one that you're interested in. 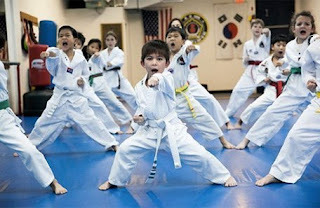 There are many different types of martial arts. There are hard styles, which focus on force, and soft styles that focus on manipulation of energy.